A pre-built assessment is an assessment based on a past exam or diagnostic test, or which has been created by a teacher at your school. Pre-built assessments come with advanced marking rules and can include recommended remedial content. Students will answer these questions under exam conditions; they will have a time limit and will not see the correct answers until marking is complete. Looking for more information about NAPLAN practice/diagnostic tests? See our help guides for Literacy and Numeracy. 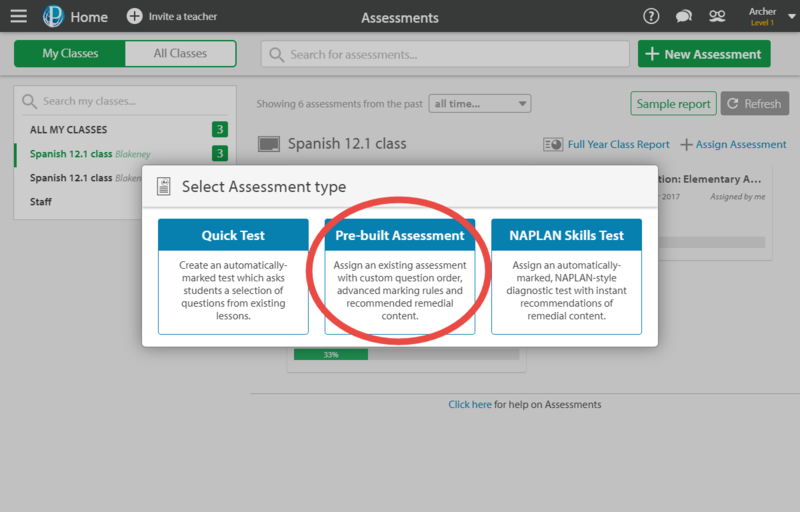 Choose Pre-built Assessment as your Assessment type. Click Who? 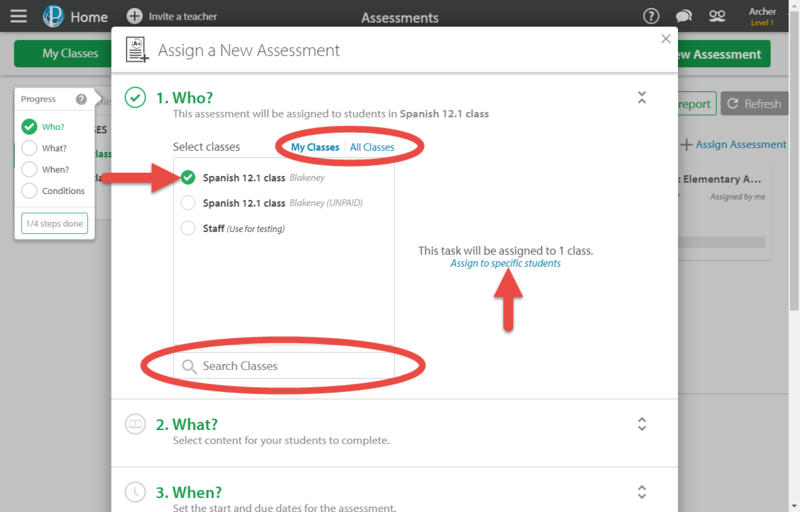 to select the class you want to assign the assessment to. My Classes lists all classes of which you are a teacher to. 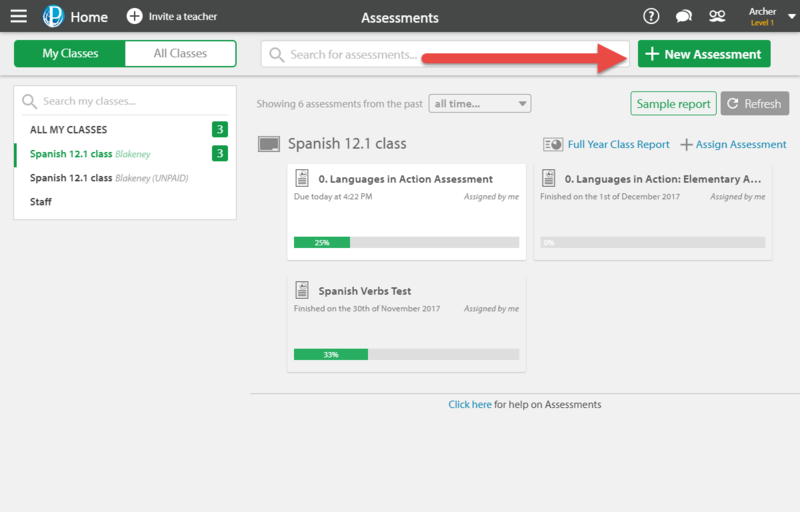 If you are assigning an assessment to classes that you don't teach, click on All Classes. You can filter to specific classes in the Search Classes box. To select content for your students to complete, click What? 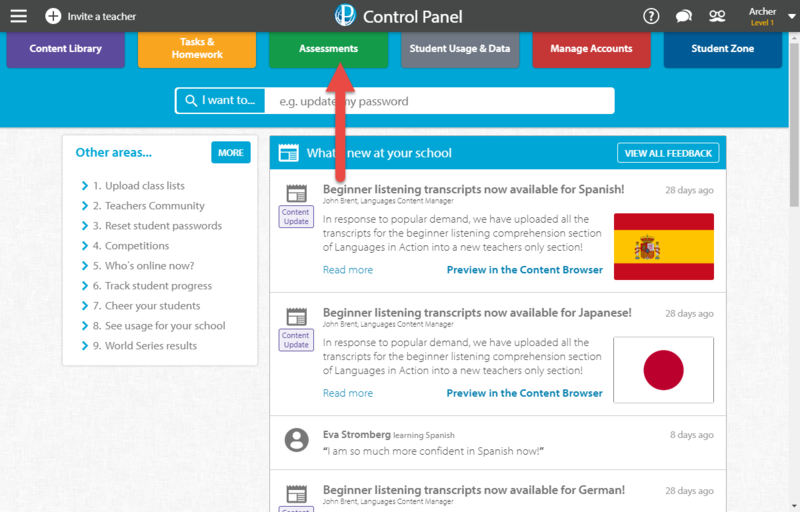 Then browse to the content you want to assign and click Select Exam or Confirm Selection. To set a start and end time for the assessment, click When? Choose a start and end time for the assessment's availability. The end date of an assessment is just when the last student can start work on the task. When the end date passes, any students who are still in the assessment and have time remaining will be able to continue working. Set a time limit for your assessments by entering the number of minutes allowed to complete the test. When the time limit of the assessment elapses, it will automatically save and close. Decide whether to Allow multiple attempts at this exam, and if so, how many attempts are allowed. You will also be asked to choose whether students' last attempt or best attempt will be used to determine their grade. 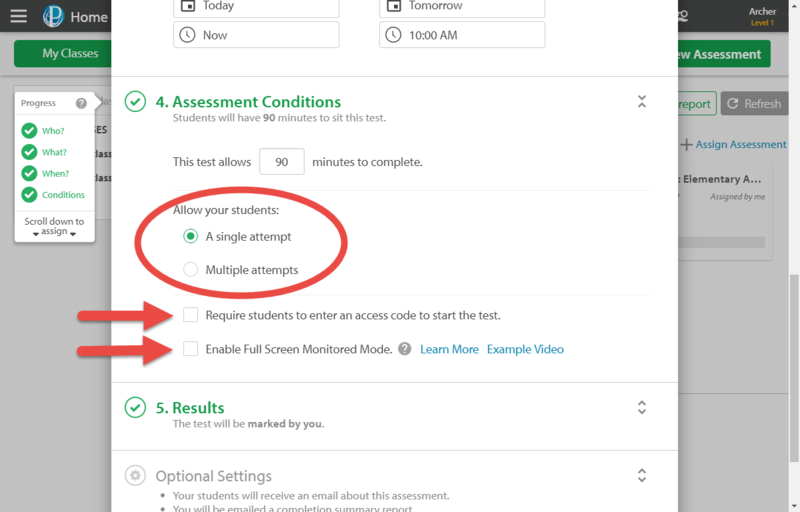 Choose whether to Require students to enter an access code to start the test. This code will only be visible to you and other teachers in your school, and the students will be required to enter the code to begin the assessment. This means you can prevent students from sitting the assessment until they are in the examination room with you. Choose whether you would like the assessment to be marked by me (teacher) or by the student. In both cases, questions which can be automatically marked by the system and you have the ability to override them. Choose when assessment results will be released. By default, assessment results are released as soon as marking is complete. To withhold your students' results, change the option to When I choose to. To release results, see How do I change the visibility of student results? Targeted Remediation is not available for all pre-built assessments. When the assessment is complete, Education Perfect will automatically recommend students remedial activities personalised to the specific skills they struggled with during the test. For example, if one student scored less than 70% in expanding equations, whereas another student struggled with factorising equations, each would get different work assigned to them. 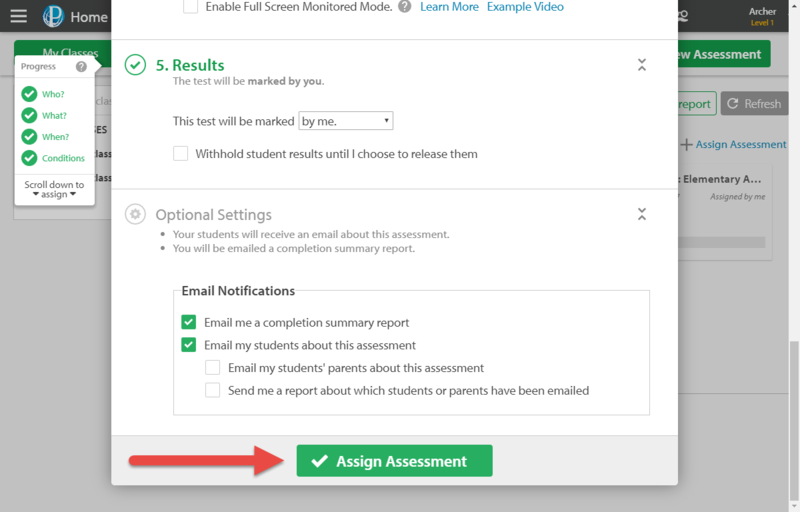 By default, your students will be emailed with a link to the assessment if we have their email address on file, and you will be emailed a report of your students' results when the end date of the assessment passes. To change these settings, expand the Optional Settings section and make your changes. You can also choose to send students' parents/caregivers a copy of the emails which are sent to the student if we have their email addresses. 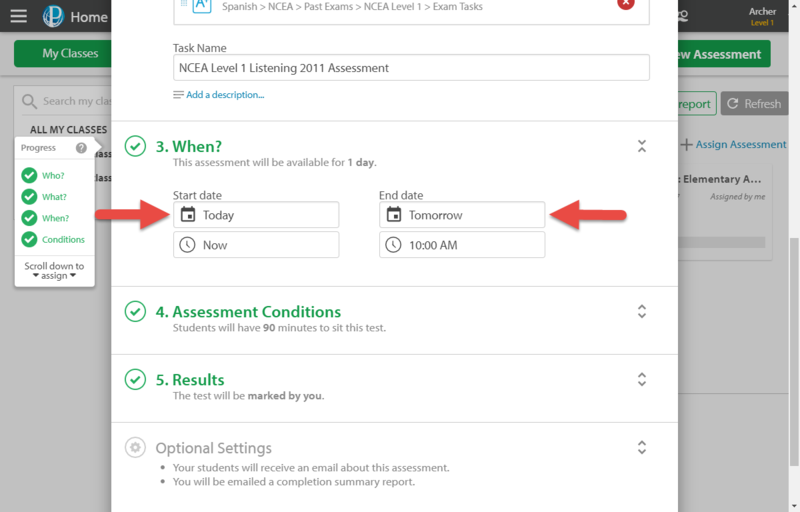 The email to students will be sent at the start time of the assessment, not when you create the task. The email will not provide them with the access code.